Atotech’s versatile desmear equipment Uniplate® P allows high throughput rates, from multilayers to thicker boards and HDI boards or bare laminate boards for semi additive processes, giving the best results with almost all available base material (except chemical non-resistant substrates and materials containing acrylic adhesives). The leading horizontal electroless copper plating line, the Uniplate® LB, is the world standard for classical horizontal through-hole metallization. 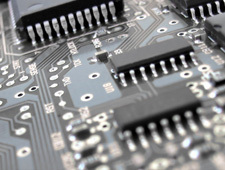 Systems solutions are available for a huge variety of board thicknesses and sizes. More than 300 Uniplate LB lines have been installed for MLB, HDI and IC substrates. Uniplate® NP is designed for the Neopact direct plating process and is suitable for all base materials including Teflon. The Uniplate® CP is the horizontal conveyorized production system to go with Atotech’s Ecopact conductive polymer direct plating process for HDI, MLB and flex/ flex-rigid productions. 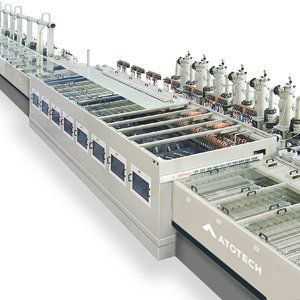 More than 800 platers have been purchased from Atotech since its release in 1987. Steadily improved from DC to InPulse1 to now Uniplate® Cu InPulse2 (Ip2), Atotech’s horizontal plating equipment is the cutting edge technology for producing high-end mass products in various applications, such as through hole filling (THF), filling of blind micro vias, and conformal plating. The Atotech Horizon® Bondfilm® family is an integrated production solution for bonding enhancement and surface treatment. 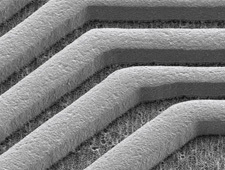 It consist of Horizon® BondFilm® – Atotech’s intelligent and cost effective solution for improved inner layer bonding and Horizon® BondFilm® LDD – a unique process to improve CO2 laser absorption of surfaces prior to laser direct drilling applications at maximum reliability. It offers Atotech’s latest technology package in chemical processing, thin material conveyance and advanced fluid delivery. 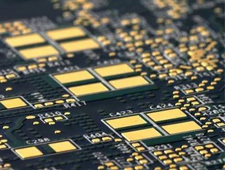 The Stannatech® state-of-the-art tin deposition technology sets the world standard in thinnest tin deposition on printed circuit boards, making it one of the few surface finishing systems verified by all major automobile manufacturers. Our Horizon® Stannatech® production system is the best you can get. With Atotech’s unique Crystallizer™ and ConStannic™ control, the system is perfect for immersion tin for multiple Pb-free soldering and press-fit technology. Stannatech® achieves the highest mileages and process reliability in the market. 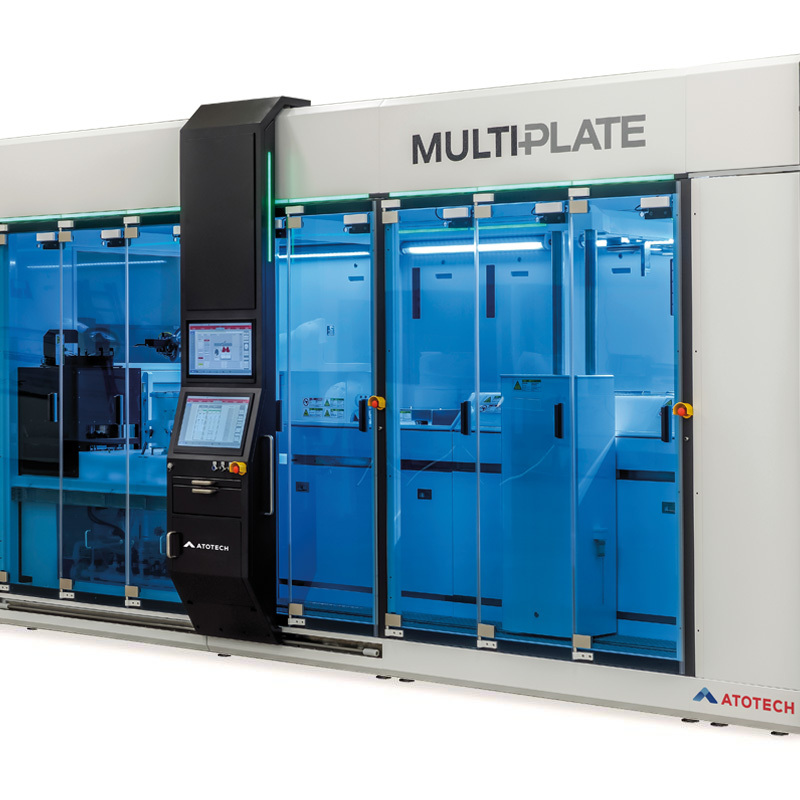 MultiPlate® is an innovative ECD plating system designed to tackle the current and future challenges for optimal performance in advanced packaging applications. 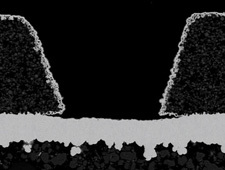 Its key technology is the simultaneous front and backside plating capability with optional individual process control for each substrate side, including current density, fluid flow, and anode segmentation enabling superior surface distribution at high plating speed. 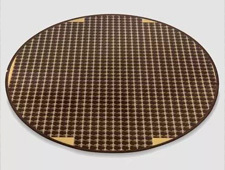 For advanced packaging applications MultiPlate® is available for round and square substrates for wafer and panel-level packaging applications. With decades of experience in horizontal wet-chemical electroless copper systems, Atotech has developed the new high-speed electroless copper systen consisting of CupraTech® FPD process and VisioPlate®. It is tailored to the requirements of the next generation products of the flat panel display industry. 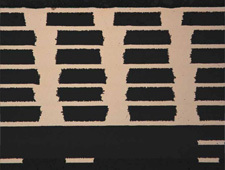 Atotech’s Universal Transport System is designed to enable Atotech’s desmear, PTH and copper plating equipment to process a broad range of different panel thicknesses. The Universal transport system consists of UTS-XL, UTS-s, UTS-xs and the new UTS-xs+. It is the latest addition to the UTS that opens new possibilities for safe thin material transportation in our Uniplate® P and LB lines. Atotech’s history dates back to 1869.